Next week's inspiration is in next week's newsletter! Great news darlings! My last newsletter was such a success, that I've decided that instead of making it a monthly one, I'm gonna make this a weekly thing of ours, which means you'll be getting cute, exclusive stationery every week! My motto is, that if you care, I care! So without further ado, I'll uncover a little secret, well, two secrets actually. 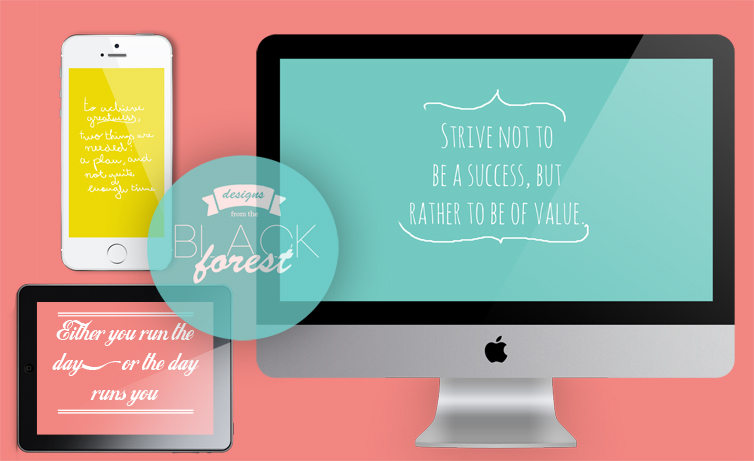 The first one is, you'll be getting 6 simple and pretty wallpapers, each one will have an inspirational quote on it (and sticking with the theme, it will be in regards to planning, of course), and every wallpaper will come in 3 different sizes: for iPhone, iMac and iPad! So without ruining any more surprises (yes, they'll be more!) I'm gonna go ahead and go. If you haven't already, hit that subscribe button down below to get next week's inspiration directly to your mailbox! Subscribe to our mailing list to unlock exclusive freebies!